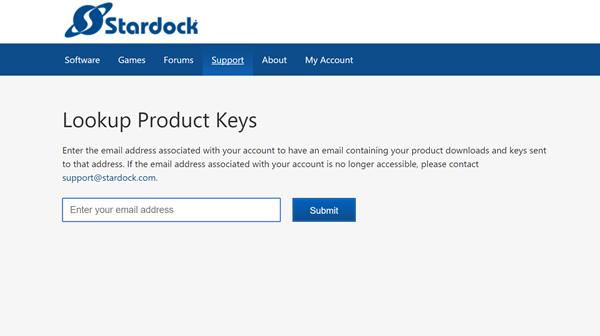 When you make a purchase from the Stardock store, you'll have the option to log in (if you already have an account), create an account or check out as a guest (no account is created). In any case, you will receive an email with instructions on how to download your products and keys. Below will detail the methods to use for getting your products and keys at a later date depending on how you purchased (account or guest checkout). While this page will work for both account holders and Guest Checkout purchase, the below is the only way a Guest Checkout purchase can retrieve their products and keys at a later date. When you enter an address that was used to make a purchase, an email will be sent to that address with the download links and keys for the products. To retrieve them, enter the email you supplied at the time of purchase here. Having a full account has some advantages: being able to look up past invoices, changing email preferences, or changing the email address itself. 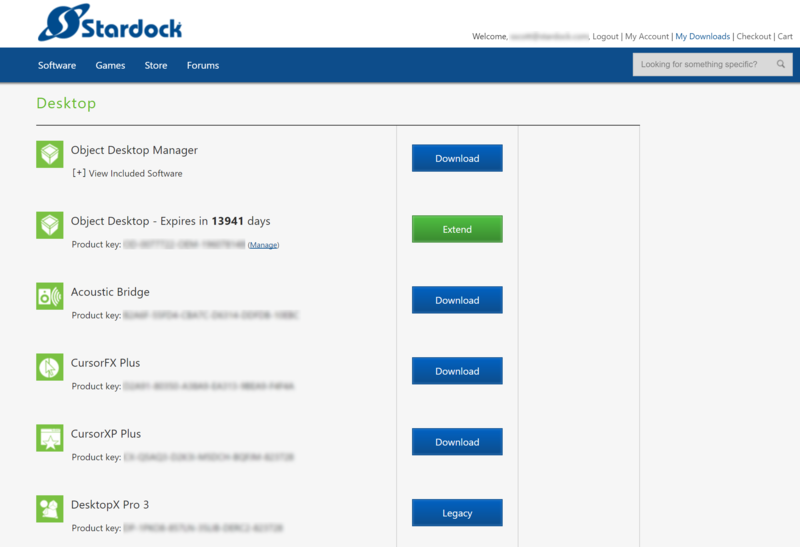 If you have a Stardock account, you can access it here. If you don't have a Stardock account, you can create one here. You can also use that page to convert a Guest Checkout email to a full account by just supplying a password (and replying to a subsequent verification email). All of the purchases you've made through our store can be found here. Any download links and product keys will be easily accessible by logging in. Also, if you have an Object Desktop or WinCustomize membership, you can easily check how many days you have left of your membership before you'll need to renew.